Hey friends, merry Wednesday. Here I am, day two, blogging from my very own bed. I'm on Levi's computer tonight, because he has an easier password to memorize. James' is forever long, so there's not a chance I can remember it. They're both asleep, and they don't mind me using it at all. But still, I'd much rather be sitting at my own computer. I'm thinking I might swing by best buy or something and invest in a cheap wireless card so I can pick up what little connection there is here until we get something solid piped in. Not sure if I will though. If it's cheap, it might be worth it. We'll see. In the meantime, I'll just hork the twins' lappies, it's all good. Okay, back to my desk, cause the bed thing wasn't working out so well. At this point in the post I'm very excited to introduce a new feature. Ladies and gentlemen, meet "progresso soup daily update!"!!! So, mom and I got like, five cans of progresso soup yesterday for me to eat this week. We decided to purchase five different varieties, so I could find out what is good and what makes me want to go "buh". I realized that I couldn't possibly remember all the progresso soups I'd had by the time I go shopping next week, so I came up with this brilliant plan. Every day that I have a new progresso soup, I'll review it here! That way I have a written record of what I like, and you all get the satisfaction of knowing that you're a valuable part of my dietary lifestyle these days. It's a win win situation for all of us. 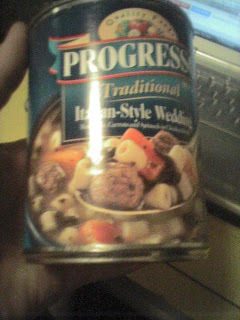 Today's progresso variety was Italian-Style Wedding. I microwaved it in two separate batches since my bowl wasn't big enough for the whole can. About two minutes and thirty seconds was good enough for a half-can. I put a plate over the open bowl in the microwave, and it was a good thing I did, because the bottom of the plate had splashed soup all over it. Apparently soup likes to jump out and get everywhere when you microwave it. Penning it in is always a good idea. The Italian-Style Wedding tasted great. Meatbals, carrots, and spinach in chicken broth is what the words on the label say, but I definitely detected some pasta-like business going on in there. A close-up of the label clearly shows what I'm talking about. Aside from the deceit and deception that their text provided, I had no complaints with the soup. 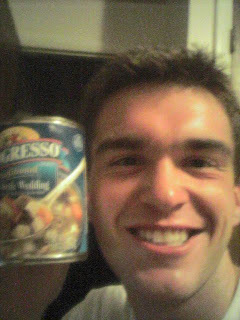 On the Christopher Thatcher Progresso Soup Deliciousness Scale, Italian-Style Wedding earns 3.5 stars out of five. The taste was very pleasant, and the presence of meatballs was a needed diversion from my hitherto unintentionally meatless college diet. And at only 70 percent of my suggested daily sodium intake, this soup was a nutritional steal! Will I be purchasing Italian-Style Wedding again? You bet your sweet kool-aid that I will. I didn't fall in love with the soup, but I feel the same way about it as I do about Great Britain. They're not my favorite soup in the world, but I'd still rather see them get medals than China. /End Progresso Soup Daily Update! We played some ultimate during lunch today on the Quad with anybody that wanted to play with us. We had about 20 guys at one point, and since it was just really open, we played 10 v 10. I counted everybody off by ones and twos to split up teams. Numbers once again proved to be my long-time friend and lover by placing me, kyle, and brad on the same team. We spent the first half of lunch trading something like six of our own points for one of theirs, that was cool. They started playing a lot better once they got an infusion of latecomers, but we still came out on top we figure. It was sweet to see so many people who came by to join the game, there was a lot of interest. Brad saw it as a very valuable recruiting experience. The six guys in this apartment are all super excited about playing intramurals, but we need a few more guys to round out the team and give us the required seven plus a few subs. We took some mental notes on who played well and we got a phone number of one of the guys. We might play tomorrow, depending on how things go, and see if some of the same guys show up. That's one thing that I'm super happy about. I don't have to make ultimate work here. 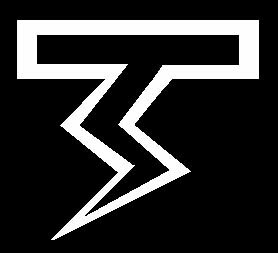 We're not building something from scratch- I don't have to convince anybody to join my stupid club ;) . I can just focus on building myself as a player and helping my team get better. We've been talking, and we're definitely going to sign up for intramurals. Like I said, we need a few more guys, but we have a pretty solid team with our core right here. Me and Andrew are very balanced players, Kyle's a sweet handler and knows the game very well, probably better than any of the rest of us. Brad is just amazing, specializing in handles and living in the sky, with an emphasis on ridiculous break-aways when nobody is watching. James is a defensive brick wall, and Levi is tall, fast, and pretends to jump sorta high. Keys to success will be me and Andrew finally emphasizing in something, as well as us picking up one more athletic jumper to hold down the back-field defense. I know that nobody else is as excited about Ultimate as I am, but I certainly like it. I know that this is just a phase, and that I won't be as excited about it in the near future, but for now, I'm going to ride this wave. I'm very excited for intramurals, it's going to be incredible. I think it'll be good for me too. Exercise and recreation is something that keeps every part of me pretty healthy- I like it. Today was my first day of connections. It's an orientation sort of deal, but it's not too bad. I figure that most of what I learn from this week won't really mean too much to me for a while. I know that sounds super bad, but I have no idea what problems I'm going to run into as a college student. None of this bears any real application to me until I start running into stuff that requires me to use whatever cool university resources they talked to me about. So, I'm down with being here, that's cool. I just start to wonder if stuff like this wouldn't be more effective if they did it like, two weeks into class. It's not a possibility, and I know that, but sometimes things mean a lot more when you've been looking for an answer. I mean, two weeks of suffering through something saying to yourself, "Alas, where are the band-aids?" and then having someone say that the band-aids are in the health and wellness center means more to me than just having them say that they're in the wellness center. That was a run on sentence. This post is becoming long. But I don't feel like this post has the personal value and discovery that really justifies me writing a long post. So I think I'm going to wrap it up soon. Thanks for everything friends. I know I don't show it too often, but I appreciate the help. It's easier to get up and work hard when you know that people care about how you're doing. I want to be great for myself, but I want to be great because of you guys too. I hope that you're doing well. I know I'm limited on communication, but if you're ever lonely and need a talk, and this goes for anyone out there, feel free to toss me a text or email- I'll be friendly. Have a great night friends, happy blogaday day two. Stat Summary/Review: Classes went well today. I was on time to everything required. We played Ultimate at lunch, and that was sweet. I had three decent meals today. Fruit intake was two bananas plus some mixed fruit at lunch. Vegetable intake was zero plus coincidental consumption from the soup. Water consumption was over one gallon, although signs still point to dehydration- probably caused by of two bouts of Ultimate, one of them in jeans, plus the incredible sodium intake. For those that are interested, my average bloodsugar on the day was 148.2, with my two week average showing as 156. Total operating sleep time was an estimated 5+1.5, coming to a total of six and a half. Current time is 1:05 AM, with a projected bed time of 2:00 and wake time of 7:40.